Firefighters and ambulance crews practise obese rescues with 40 stone Ruth Lee dummies. The bariatric dummies are being used by crews across the world to replicate the weight of unconscious people in response to rising obesity rates. Produced by Ruth Lee Ltd, Europe’s leading manufacturer of rescue training manikins, the dummies come in three sizes – 90kg, 180kg and 260kg – and are filled with a stone core and steel ball bearings. 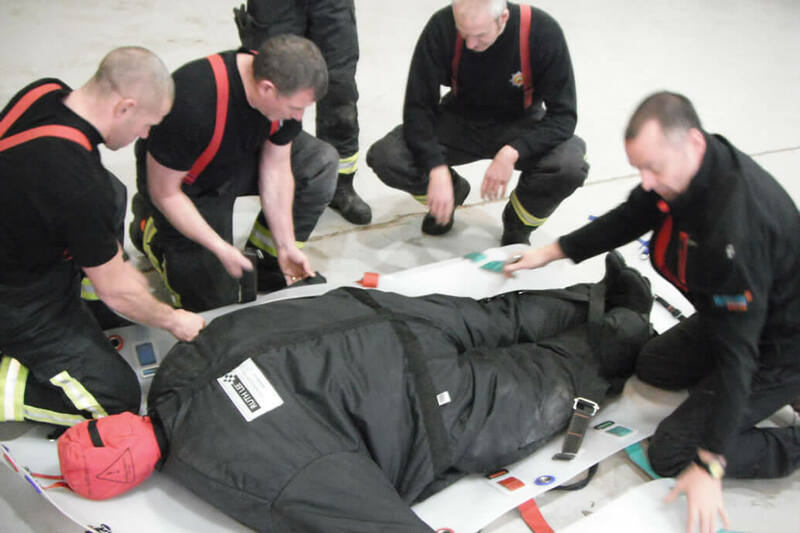 There is also a water-fillable bariatric suit which allows teams to position their manikin in a difficult spot to access, such as the high cab of an articulated lorry, and then add the weight using water. The demand for a range of bariatric dummies comes as the number of morbidly obese people has dramatically increased. A quarter of British adults are classified as obese. “For example, a hospital could have an operating theatre on the fifth floor. If there’s a fire, the lifts close and you’ve got somebody who’s morbidly obese, what do you do? As well as providing the British emergency services with bariatric manikins, Ruth Lee Ltd have had orders from Australia, the USA and Germany. They have also sold bariatric manikins to the RAF, universities and specialist healthcare equipment manufacturers too. Ruth Lee Ltd was established 60 years ago and it’s very first customer was Merseyside Fire Service. Today, the company supplies 100% of the UK’s Fire & Rescue Services as well as Funeral Directors and Care Homes.